A textured finish with a flecked earthen plaster effect or natural stone look. Anciano™ creates looks ranging from textured earthen plaster to hewn limestone. 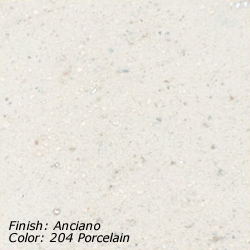 The speckle of natural minerals in Anciano™ gives the finish a warm and organic feel. An optional color wash can increase the amount of color variation. 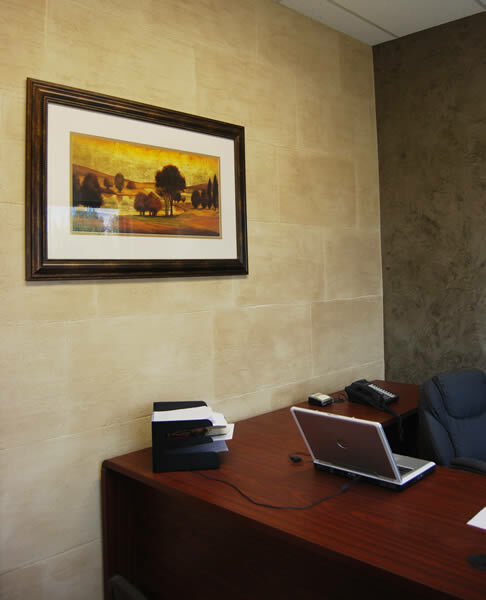 Anciano™ is a 100% acrylic polymer based, opaque, crack resistant, trowel applied plaster finish with natural earthen components. Anciano™ may be used for interior or exterior applications over properly prepared substrates, including new or existing drywall and new or existing plaster substrates. Anciano™ is available in the 24 standard Variance colors or may be custom colored upon request.